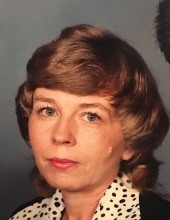 Mary Ann Atchison, passed away September 3, 2018. Mary was preceded in by her father, Hobert Schelp; mother, Hazel Schelp, and brother, Jim Craig. She is survived by her husband of forty years, Warren Atchison; brother, Tommy Schelp; two, son's, Jim Jay and his wife Shara, and Jeffery Jay and his wife Sabrina; stepdaughter, Patricia Colin and her husband Joe; stepson, Lee Atchison and his wife Melissa. Mary had 16 grandchildren and 15 great grandchildren. She also leaves her fathers sister Aunt Edna; three additional Aunts, Mary Kay, Winney, and Peggy; plus many cousins and friends. She will be missed. Please help celebrate the life of Mary by sharing a memory or expressing your condolences to the family. To send flowers or a remembrance gift to the family of Mary Ann Atchison, please visit our Tribute Store. "Email Address" would like to share the life celebration of Mary Ann Atchison. Click on the "link" to go to share a favorite memory or leave a condolence message for the family.